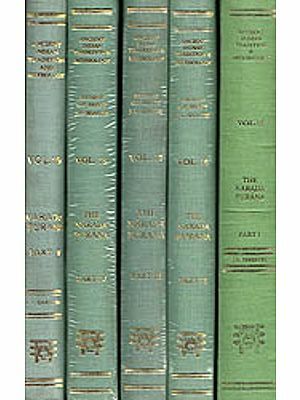 Sri Ganesa purana was, perhaps, first published in 1892 (Bombay, Gopala Narayana Press) in ms. Form, as edited by Uddhavacarya Ainapure and Krsna Sastri Pitrye. Ganesagita - a section of this Purana was published in 1906 together with Nilakantha’s commentary Ganapatibhavadipika (edited by the Pandits of the Anandasrama) by Anandasrama Press, Poona. This Purana finds a first place in Ganesa Grantha Section of the illustrious work Sri Ganesakosa (ed. Amarendra Gadgil, Srirama Book Agency, Pune, second edition 1981). The edition of the Purana together with Marathi translation by V.S.S. Visnusastri Bapat, published by Damodar Laksmana Lele (Modavrtta Chapakhana, Wai, 1905-6) was perhaps the first attempt to popularize this illustrious text on Ganesa. This has also been long out of print. Thus it is quite in the fitness of things that M/S Nag Publishers should have thought of bringing out a reprint of Sriganesa Purana - one of the two Upapuranas (Mudgalapurana being the other one) solely dealing with Ganesa as the Supreme Divine Power. “Upa-puranam n. a secondary or minor Purana (eighteen are enumerated; the following) is the list in the Kurma-Purana: 1. Sanatkumara. 2. Narasimha (fr. Nrsimha). 3. Bhamda. 4. Sivadharma 5. Daurvasasa. 6. Naradiya. 7.. Kapila. 8. Vamana. 9. Ausanasa 10. Brahmanda 11. Varuna. 12 Kalika-purana. 13. Mahesvara 14. Samba. 15. Saura. 16. Parasara. 17. Marica. 18. Bhargava)”. The above listing tallies with the one as in the Venkateshvar Press edition of the Kurmapurana except that the third upapurana named here is Bhamda which could be a printing error for Skanda. There is no Vayaviya, no kalki, no Daiva here. Are we now to conclude that Sriganesapurana was not known to the author of the Kurmapurana? But the fact that at least the Ganesagita forming part of the Ganesapurana (as already available in print) was commented upon by Nilakantha establishes the relative antiquity of this Purana. Moreover, there is every reason to believe that Bhargava and Ganesa Puranas are one and the same, inasmuch as the extant text of the Sriganesa Purana represents a dialogue betweent eh Trikalajna Sage Bhrgu and leprosy-stricken king of Saurastra-Somakanta. So this Purana may have earlier been named as Bhargava Purana. Like the two Great Epics and Dharmasastra, the Puranas are also traditionally categorized as “Smrti”. Corresponding to the transmission of the various Sakhas of Sruti from generation to generation in the respective families, through oral tradition, the various Puranas/upapuranas were also perhaps orally transmitted from generation to generation in the families concerned. Some beginning has already been made in the direction of stylistic studies into the distinctive features of the Mahabharata as an oral composition (Vide Sharma, Elements of poetry in the Mahabharata, Berkeley 1964; Reprint, Delhi 1988). No such a study seems yet to have been made with regard to the Puranas in general or even a specific Purana. 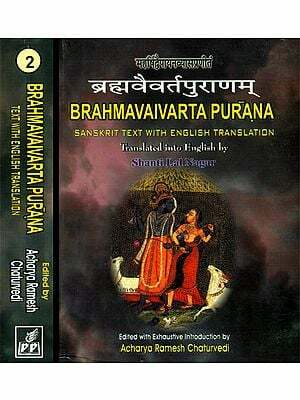 It is unfortunate that except four or five Puranas that have been critically edited and brought out under the auspices of the All India Kashiraj Trust no crticial editions of the Puranas or Upapuranas are yet available. Even the editions available are full of printing and other errors (except the Srimadbhagavatam). To my mind a stylistic study with special reference to oral poetic technique as reflected in the Puranas and identification of the oftrepeated poetic formula in the Noun-adjective combination, similes, vocatives etc. should be since qua non for all further Puranic studies. That will enable us to determine the common core and distinctive features of a given Purana / Upapurana. That will also help us in determining the relative priority or posteriority of a Purana. As stated above, the Puranas too form part of our oral tradition. We can certainly try to determine the date of a text when it was standardized in the process of its oral evolution and was written down. But it is perhaps not possible to determine even approximately, the date of the beginning of an oral tradition with regard to a particular text, specially when no critical edition representing the oldest available reading of the text is accessible to us. We can thus only conclude that the Ganesa Puranas was written down long before the 16th cen. A.D, may be, between 1100 - 1400 A.D.
As usual, Ganesa Purana is also recited by Suta in the naimisaranya in the course of the twelve-year sacrifice performed by Saunaka. The sages have already grasped the eighteen Puranas. Now they request Suta to recite other Puranas (anyany api). So Suta prefers to recite the first upapurana dealing with Ganesa. The order of transmission of this Ganesapurana is mentioned as Brahma-Vyasa-Bhrgu. Eventually Somakanta suffers from leprosy. Despite the appeals to the contrary from his ministers, subjects, family members, he desperately prefers to relinquish his throne. The unwilling son-Hemakantha is compelled to succeed him. Somakanta, together with his wife Sudharma and the two ministers - Subala and Jnanagamya quits his kingdom and ultimately reaches a beautiful forest. The king sleeps. The two ministers go somewhere in search for fruits etc. at that moment Sudharma comes across a brilliant child on the bank of a pond and she relates the entire story of her husband’s ailments to him. The child is none else but cyavana himself who conveys the entire story to his father - Bhrgu. Somakanta is summoned to Bhrgu’s hermitage. Being asked by the sage, somakanta tells him everything about himself as it happened in this life. The compassionate sage first starts telling him all that happened in Somakanta’s previous life by way of determining the root cause of his present trouble. Somakanta is his previous life was a Vaisya-Kamanda by name. After his father’s death, he become a wanton boy indulging in all sorts of undesirable activities; consequently his wife (kutumbini) abandoned him. He went to a forest and started persecuting innocent passers by including Brahmins. Once a Brahmin, Gunavadhans by name was caught by him. Gunavardhana tried his best to invite his compassionate treatment towards himself. But Matanga did not spare him even and thereby subjected himself to his infallible curse. When he was old, he repented for his misdeeds and tried to donate the entire plundered wealth to the deserving Brahmins. But none of them agreed to oblige him due to his unpardonable deeds of the past. He then spent his accumulation on the repair of an old delepilated temple of Ganesa. When he died and was about to be reborn, he was asked. “What would you like to enjoy first-punya or Papa”? Matanga preferred to enjoy punya first. So he enjoyed the royal honour, happiness, good health first. He has, thereafter, fallen a victim to the evil fruits of sinful acts in the form of leprosy in this birth. Thus Bhrgu tells Somakanta all about his previous birth and continuity of the fruits of his misdeeds. Somakanta does not however, believe in the story. At this, several birds start attacking him and eating his flesh. The sage, propitiated, however, saves the situation just through his Humkara and the birds fly away. Somakanta is now fully convinced for the futility of his skepticism and falls at the feet of the sage and as advised by the latter has a dip in the pond. The sage also recites the name of Ganesa one hundred and eight times and sprinkles the “mantrita” water on the king. Soon thereafter a monsterous Papapurusa comes out of the body of the king. The sage commands the Papapurusa to take shelter in a nearby tree. As soon as he enters the tree, it is burnt to ashes. The king is now free from ailments. The sage then advised him to listen to Ganesapurana and predicts that if he faithfully listens to him, slowly and gradually the fallen tree will start growing and as soon as it is grown up into a fullfledged tree, he will be absolutely free from all ailments. The sage further says that Vyasa and originally obtained this story from Brahma and that he was able to get it from Vyasa himself. So at this stage Bhrgu retales the story in the form of a dialogue between Brahma and Vyasa. Somakanta, faithfully, listens to Ganesapurana ending with Vyasas Ganesa-worship and the consequential boon of omniscience. So the king is not only free from all his ailments but he also attains divinity and leaves for his divine abode by a divine Vimana revisiting Devanagara - his former capital in Saurastra. This is in a nutshell, the central theme of Sriganespuranam. As usual, there are, however, hundreds of episodes, subepisodes within episodes relating to Ganesa as a Supreme Divine Being who along is responsible even for distribution of work among the great divine Trio. There comes the story of Tripura Vadha, Madhukaitabha-Vadha, Parasurama, Kartikeya and other well known and also not too familiar mythological figures. Ganesa Sahasra nama (I. 46) Durvamahatmya (I.62-67), and Srimad-Ganesagita significance. Several Ganesa Festivals and Ganesa Tirthas are also mentioned throughout as part of the episodes. The Ganesa Purana is divided into two Khandas, viz. Upasanakhanda and Kridakhanda. The former consists of 92 chapters (4093 verses) while the latter, of 155 chapters (6986 verses). Taken all together, there are 11079 verses in this Purana. As a student of imagery in Sanskrit literature, I am specially enamoured of the imagery (both traditional poetic formulaic as well as original) as found in Ganespurana. I hope, scholars will pay special attention, also to this aspect of this Purana. I take this opportunity to congratulate M/S Nag Publishers for bringing out this Purana and their assurances to bring out more and more Puranas and Upapuranas but for which we remain ignorant of our ever-growing great cultural Heritage. Giri Trading Agency Pvt. Ltd.